So why are we called sCOPYons? Hopefully the capital letters method of spelling the name will explain the name is just simply we are a COPY of the Scorpions ............Founder member Nige did have to explain this even to certain intelligent friends and members of the band. Scopyons have a leaning toward the post Matthias jabs era (1978 Lovedrive up to the present day) but have added classic Uli Jon Roth era songs like We'll burn The Sky, In Trance & Pictured Life to the set for 2014. 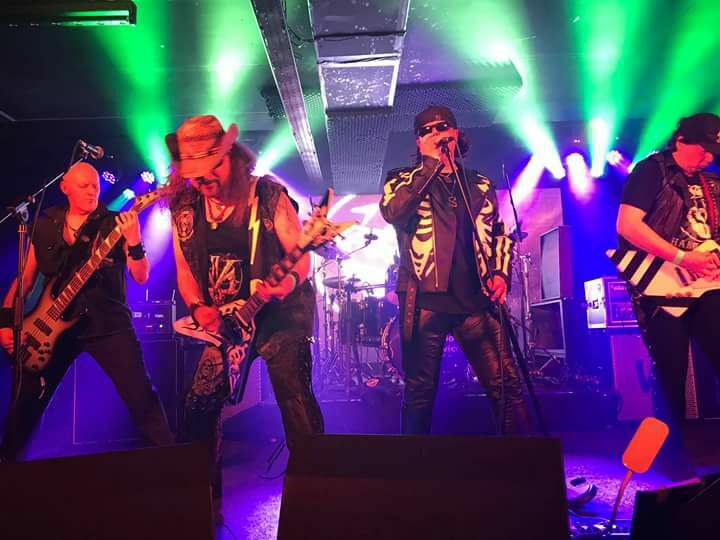 We really could not have chosen a more perfect time to unleash the UK’s first full 5 piece definitive Scorpions tribute band. TICKETS ADVISED SOLD OUT EVERY TIME HERE ! £8 in advance Online or from The Pub.